Art Hop is a free-of-charge, fun-filled evening of art exhibits and events in and around Kalamazoo. It takes place the first Friday of every month. Download the April Art Hop brochure! Check out the upcoming Art Hop stops! Are you a visual artist, musician, poet or actor interested in showcasing your talent in Art Hop? Art Hop is held the first Friday of every month in downtown Kalamazoo and is a celebration of the arts community. We invite you to become a part of one of Kalamazoo’s signature events! 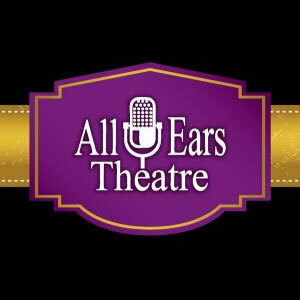 Participating venues are encouraged to find artists through the directory listing of the Arts Council's member artists here on kalamazooarts.org. To become a member and add your profile into the mix, please visit our membership page and sign up. To be considered for a show in one of the Arts Council curated galleries, we ask that you submit the below information to arthop@kalamazooarts.org with a recommended subject line of “Request to Exhibit”. For visual artists, include your artwork dimensions and any special requirements for exhibit. For non-visual groups, include the number of members in your group and any special requirements for performance. Click here for a great video tutorial on photographing your 2D artwork, and click here for video tutorials on editing your photos on various programs. If you are an artist with plans to participate at a venue for an Art Hop, please provide your venue with the required information found below in the venue section. All participation information must come from the venue and information submitted by an artist will not be accepted. 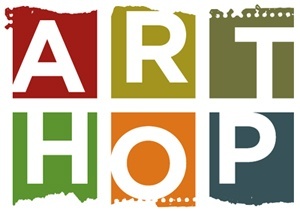 To participate in Art Hop please fill out this submission form: Art Hop Business Submission HERE! The deadline for submitting Art Hop information through the JotForm link (above) is the the Monday after the previous month's Art Hop. Example January 7 for February, February 4 for March etc. Participation is $50 per site/artist per participation. Payment is the responsibility of the business or host site. The business may elect to pass all or a portion of the cost onto the artist, but payment must come from the business. Click here to be redirected to our Art Hop payment page. If you're a venue looking to find an artist to host in your space for an upcoming Art Hop, we encourage to browse our online Artist Directory. For a visual walkthrough guide on accessing this directory, click here. The Arts Council will send out a proof of the Art Hop brochure electronically. The deadline for changes or corrections will be included in the email. This is a strict deadline. Changes or corrections submitted after that date will not be made. The following Art Hop Fridays in 2019 are looking for YOU!